Travel back to princely times ! 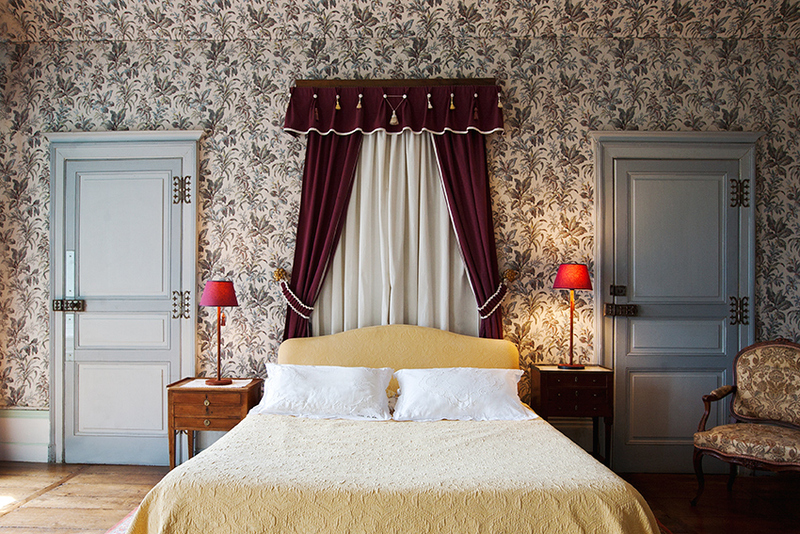 The Chateau de Sannat offers weekly self-catering rental for 6 romantic luxury bedrooms. 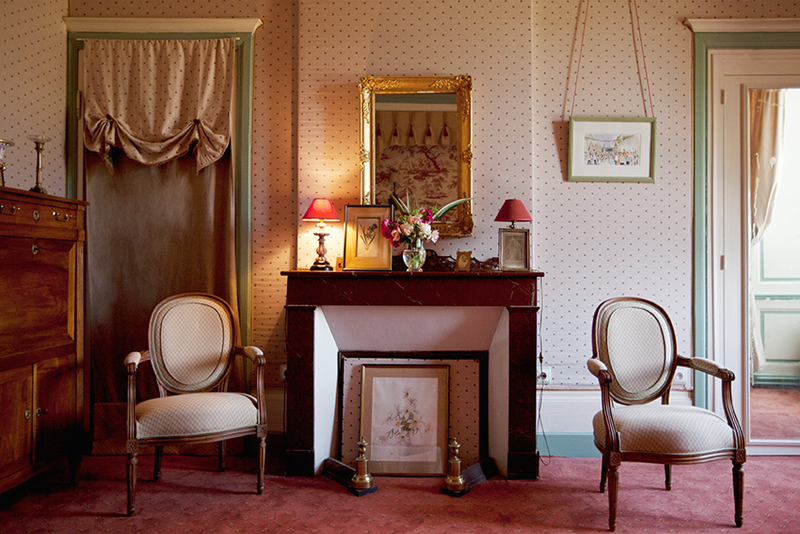 Adorned with period furniture, paintings and tapestries you can live-out your fantasies of a bygone era ! 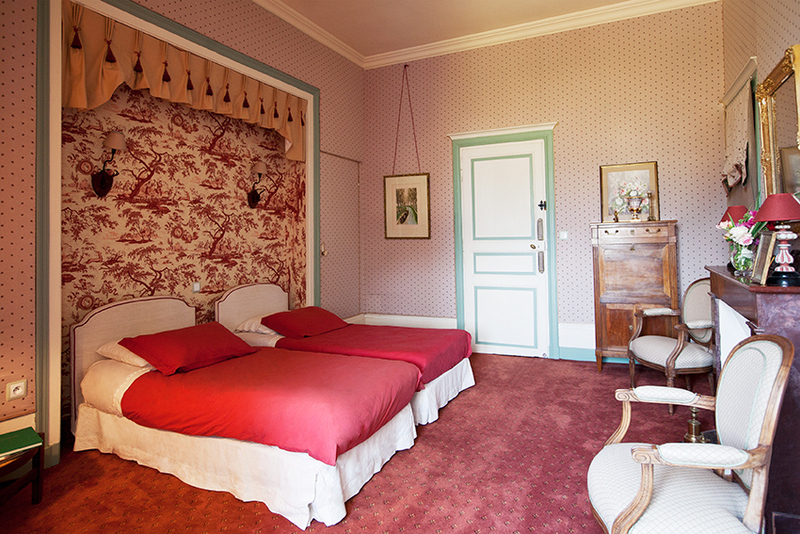 The 5 bedrooms and 1 suite are in keeping with the style of the chateau : refined and comfortable. 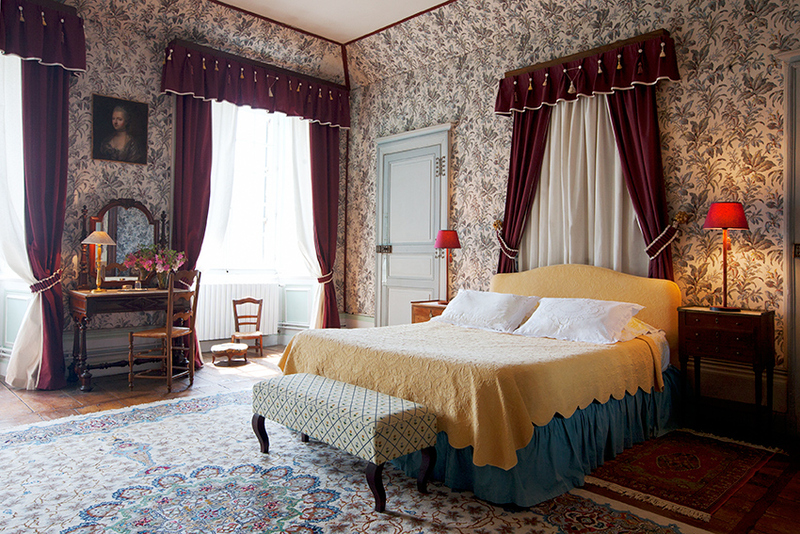 The linen and towels are provided for the week and will be changed on the following Saturday. 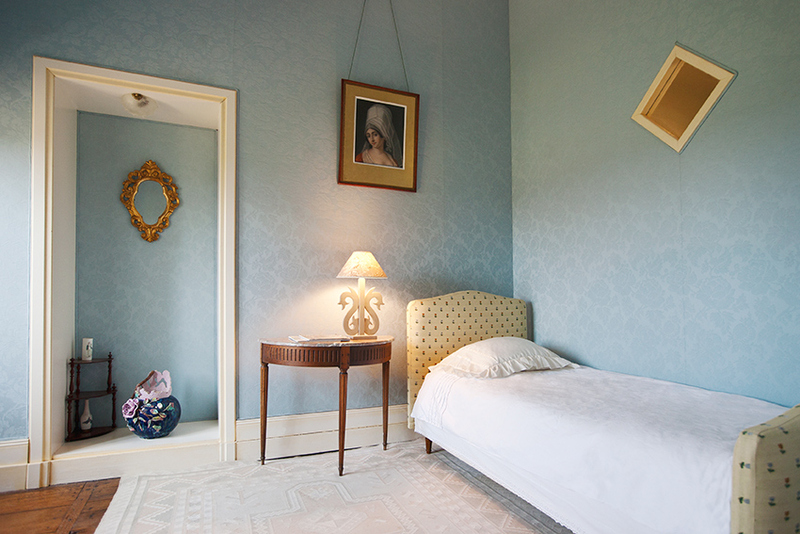 This lovely suite is ideal for a couple with a child. 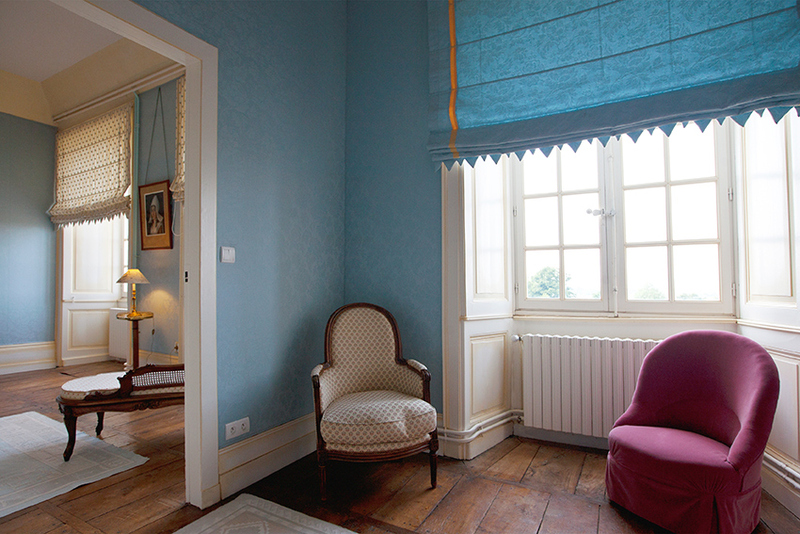 The interiors create a bright and cosy atmosphere with a sky-blue tapestry interspersed with pale yellow flecks. 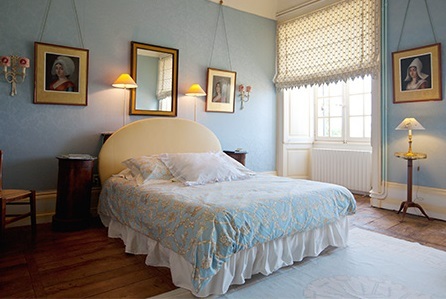 It is comprised of a large double bedroom and a small adjacent single bedroom. 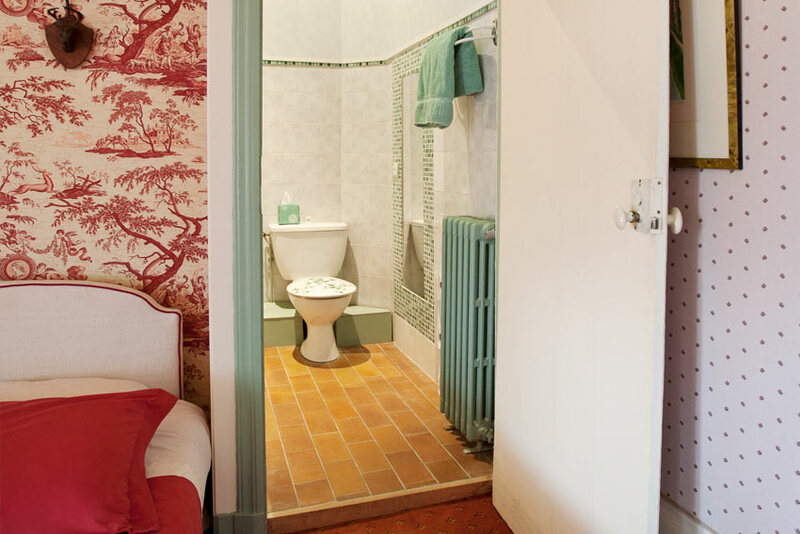 Guests can enjoy a spacious walk-in wardrobe and a beautiful bathroom which includes a bathtub, a shower, double basins and a WC. Beautiful view over the Monts de Blond and the landscaped garden. 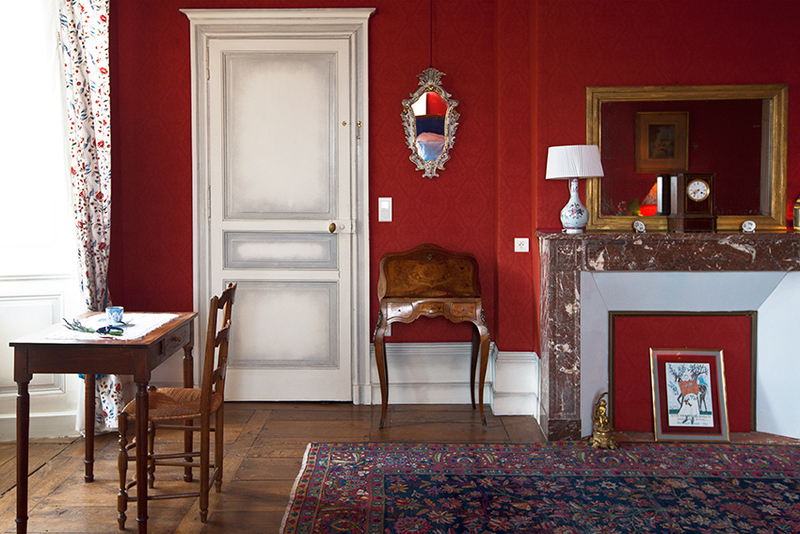 Immerse yourself in the splendour of the Cèdres bedroom with its flowery tapestry and burgundy drapes. 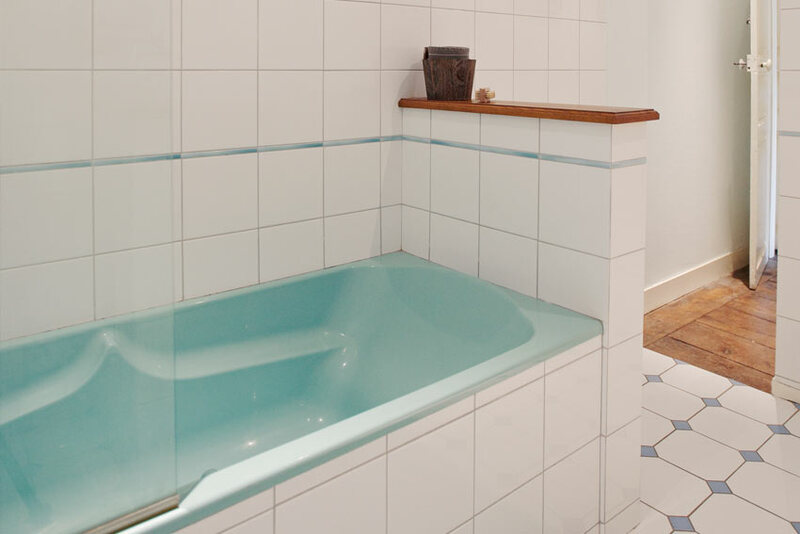 The bright en-suite bathroom is comprised of a bathtub, a shower, a double basin and a WC. 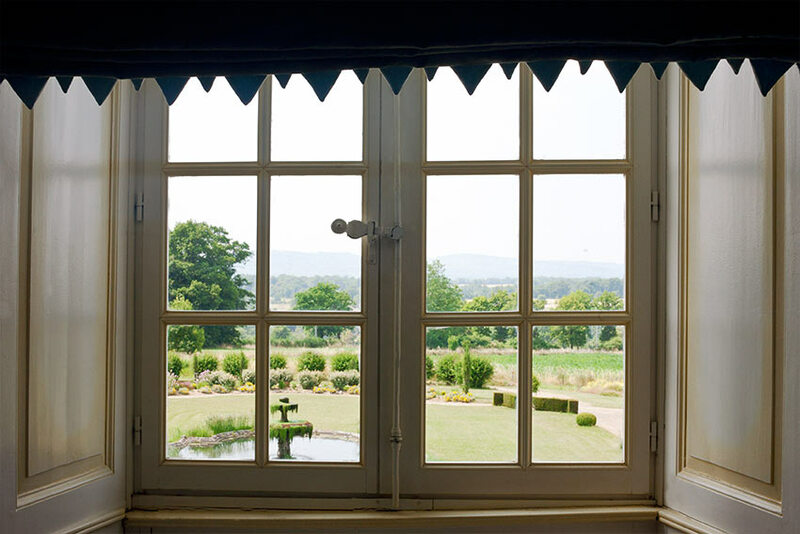 The large bathroom window is adorned with delicate and refined sheer curtains and opens out onto beautiful views of the Monts de Blond and the landscaped garden. 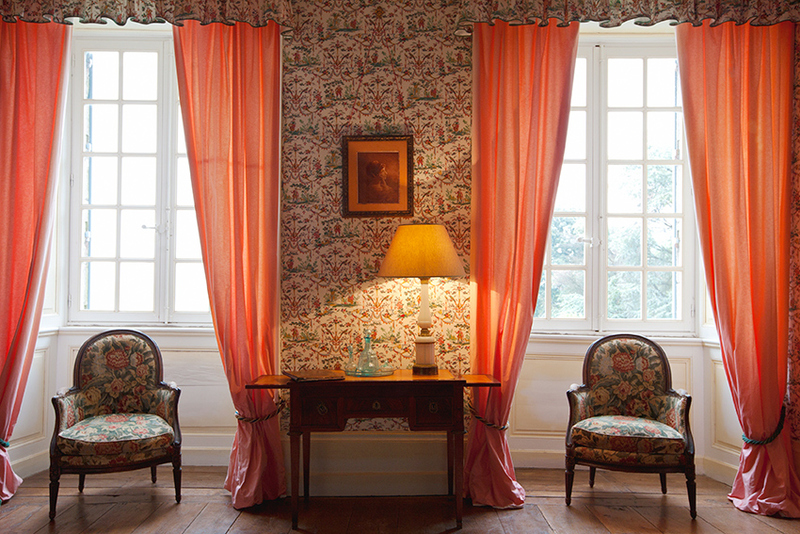 The flamboyant colours in the Orangerie create a warm, hushed atmosphere resembling a royal jewel box. 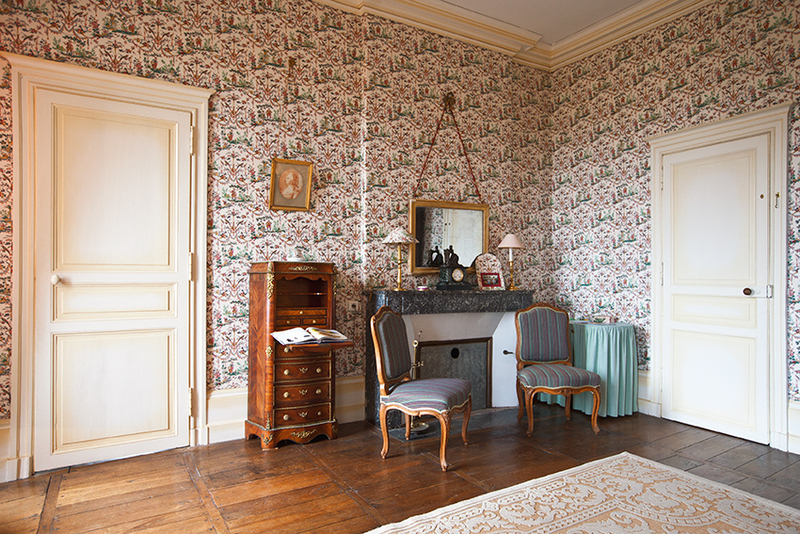 It is composed of two single beds and a small corner seating area around the period fireplace. 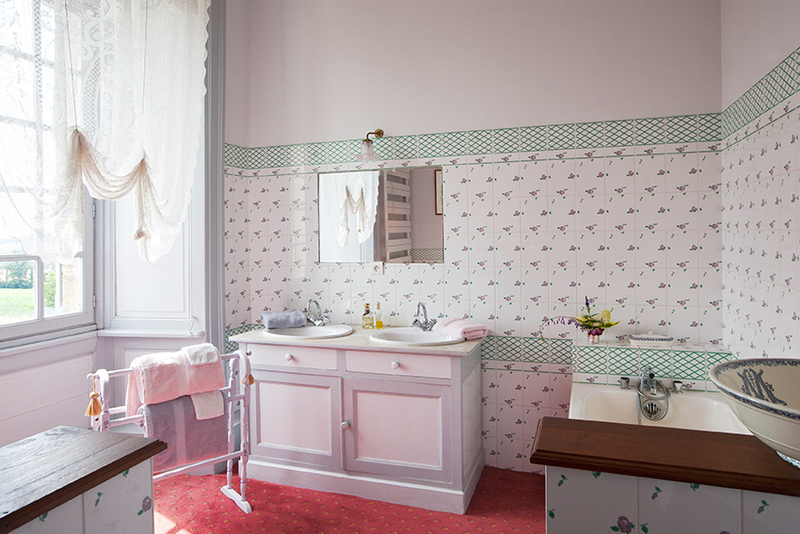 The en-suite bathroom is comprised of a shower, basin and WC. 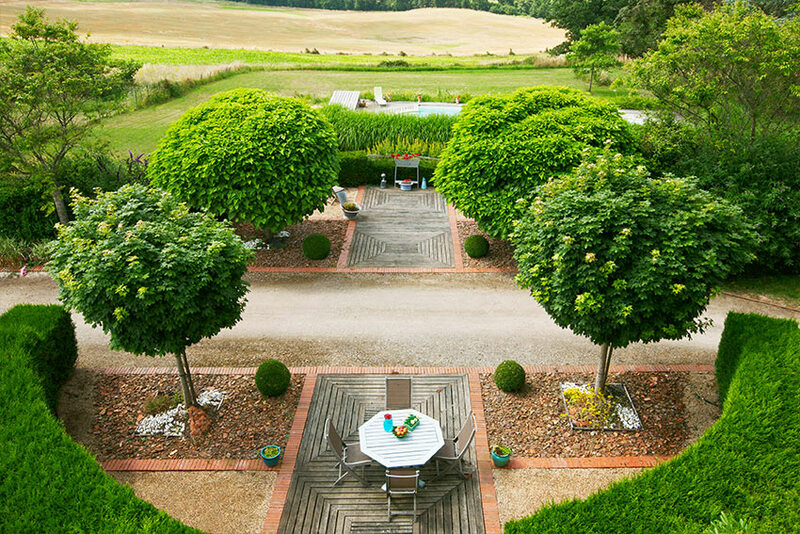 Beautiful view of the garden and the Limousin countryside. 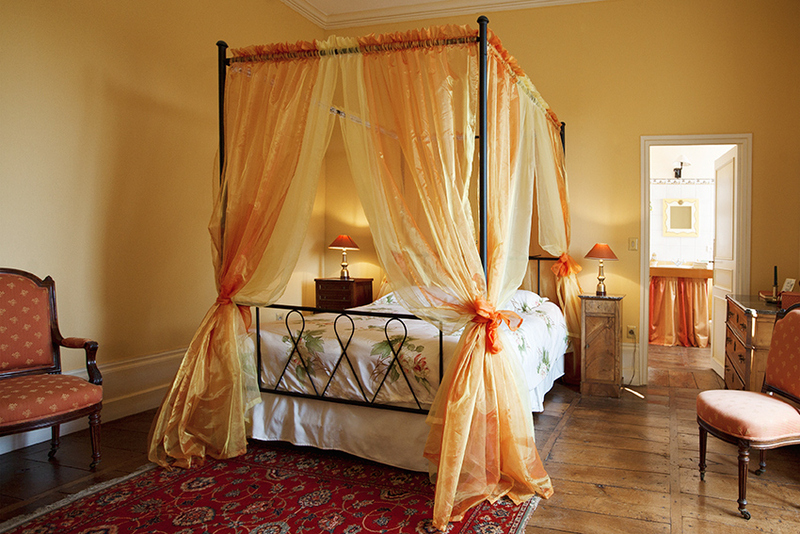 The large four-poster bed in the bright, velvety atmosphere of this bedroom is adorned with yellow shimmery drapes which match the tapestry. 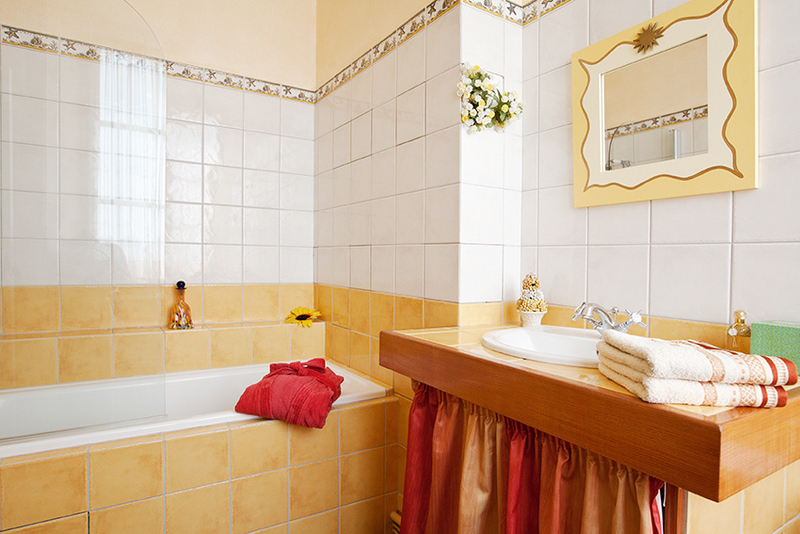 The equally relaxing bathroom, also in the same colours, is comprised of a bathtub, a shower, a basin and a WC. 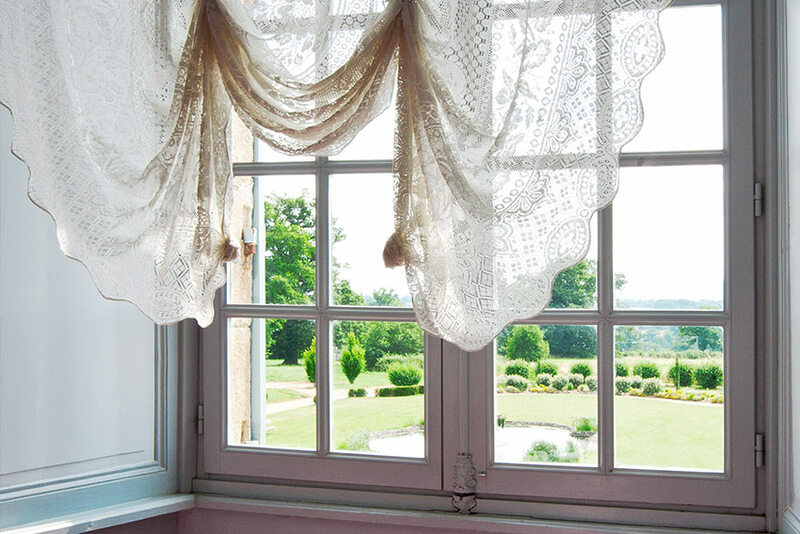 Beautiful view of the garden and the Limousin countryside. 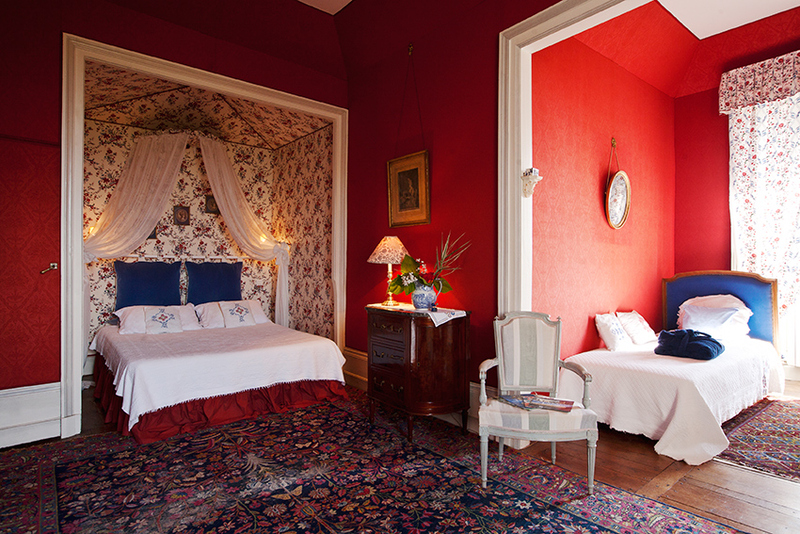 The tawny and flamboyant colours welcome you as the lord of the manor ! 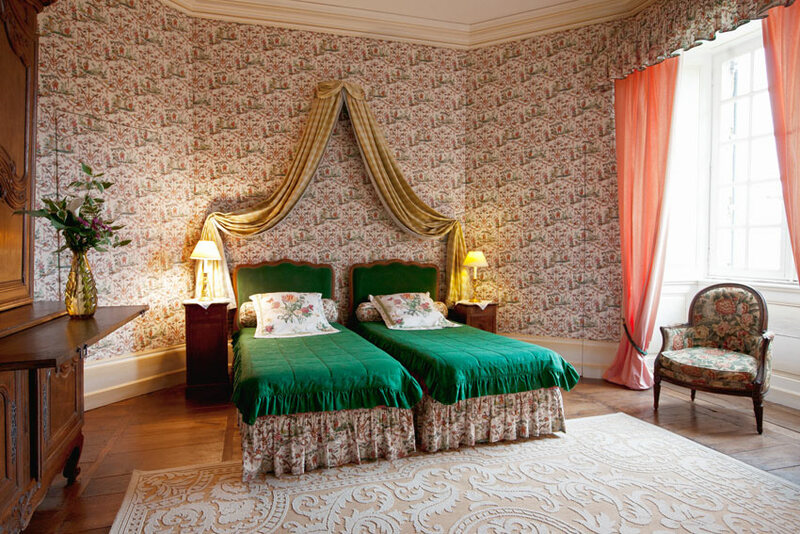 This bedroom is comprised of a double four-poster bed beneath an alcove draped with sheer, delicate curtains and opens onto a single bed in an adjacent room. 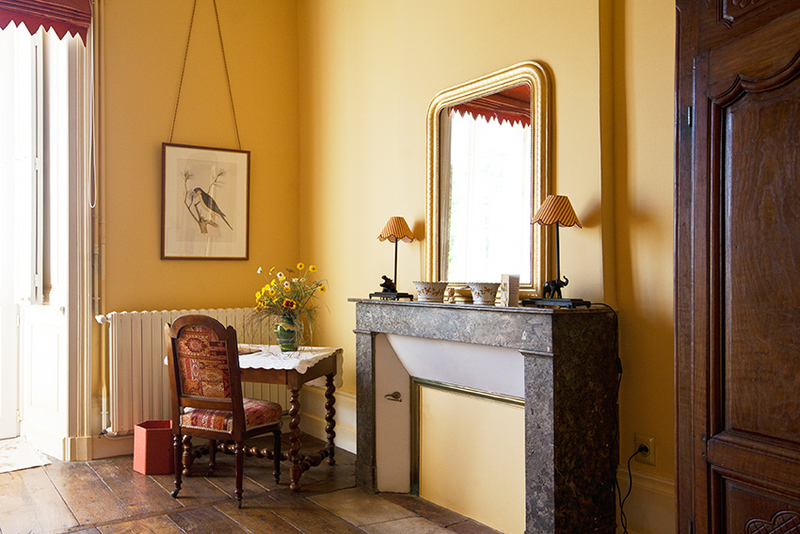 The main room offers a small office corner and a lovely period fireplace. The bathroom is comprised of a shower, a basin and a WC. Magnificent view over both the Limousin countryside and the pool. 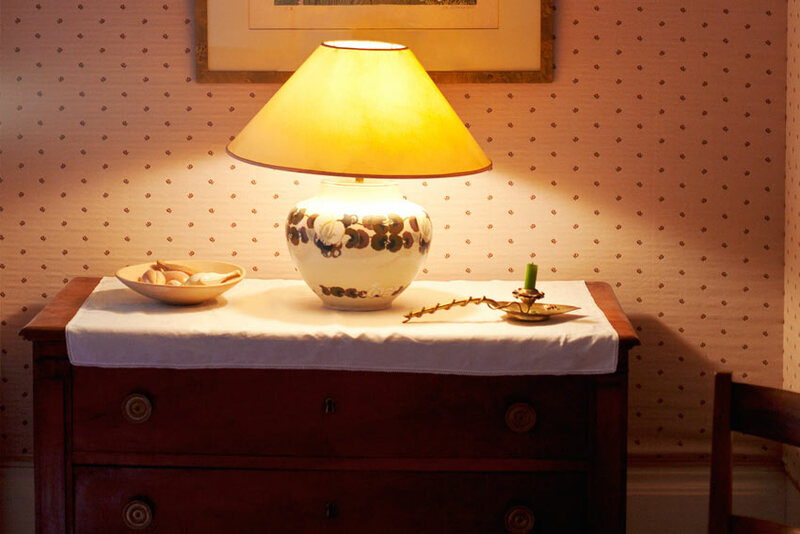 This bedroom is decorated with warmth and refinement. Comprised of two single beds (which can be pushed together), you will enjoy the abundance of light from the two enormous windows looking out onto the Limousin countryside. 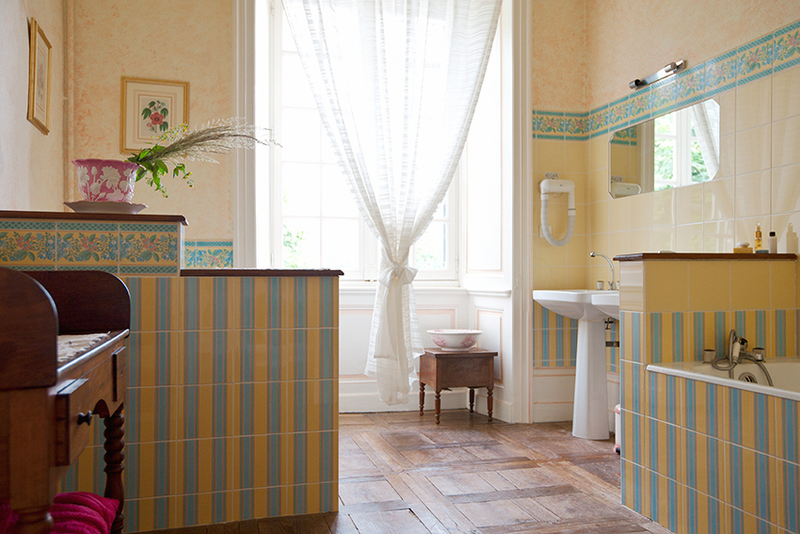 The en-suite bathroom boasts superb Versailles parquet flooring and includes a bathtub, two separate basins and a WC. Wonderful view over both the Limousin countryside and the pool.